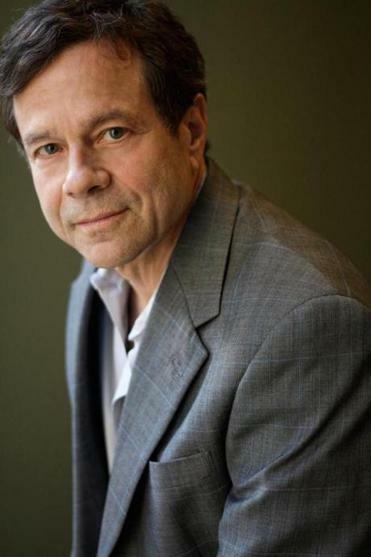 Alan Lightman said even as a teenager his interests straddled the literary and scientific. LIGHTMAN: Just finished reading Anita Desai’s new book, a collection of three novellas called “The Artist of Disappearance.’’ She’s a very delicate writer. She’s a friend of mine from when I taught at MIT. BOOKS: Do you read mostly fiction? LIGHTMAN: My reading is split between nonfiction and fiction. But I’ve been so busy in the last few years I’ve not managed to read more than a couple of books a month. I used to read a book a week without any trouble. Now I really only read when I travel. BOOKS: Given you are on a book tour, what will you read while you’re traveling? LIGHTMAN: I’m hoping to read one of my wife’s Buddhist books, “Essence of the Heart Sutra’’ by the Dalai Lama. I have a huge respect for her interest in Buddhism, and some of these books have become close to my heart as well. I’m also reading “Mussoorie Medley’’ by Ganesh Saili about a town in northern India. We visited it in October. It’s up in the foothills of the Himalayas. This is the most similar place to Shangri-La I’ve been to in the world. BOOKS: What’s it like to not be able to read as much as normal? LIGHTMAN: I feel like I’m not whole. On the other hand, my life is just getting richer and fuller, but there’s just not enough time to do all the things I want to do. I used to try to read an hour or two at night before bed to slow down my mind so it wasn’t running so fast. If you work right up to the time you go to sleep it’s hard to sleep, and that’s the case for me. BOOKS: What kind of nonfiction do you gravitate toward? LIGHTMAN: I read a fair amount of science just because I have been a scientist. The most recent science book I read was “The Information’’ by James Gleick, which I liked very much. He’s one of my favorite writers along with David Quammen, who’s a naturalist, and E.O. Wilson and Lewis Thomas, who are both scientists. BOOKS: In the heat of your scientific career, did you have time for reading? LIGHTMAN: I always read. I wasn’t writing as much, but I was definitely reading. One of the writers I read in those days was E.B. White. He’s one of the great essayists in modern time. I was also reading fiction. I was wild about Edgar Rice Burroughs’ “John Carter of Mars’’ series about life on Mars. Usually high school boys read them but I read them in my 20s and early 30s. BOOKS: Were you bookish as a kid? LIGHTMAN: When I was a teenager I had two groups of friends. My science friends and I did experiments, launched rockets, and so on. Then I had a group of literary friends, kids who read and wrote. I was the only person who was in both groups. I felt a little bit odd. BOOKS: Why do you think people split into those two groups? LIGHTMAN: I don’t know, but it happens at a fairly young age. I think it’s social pressure that pushes us in one direction or the other. The science kids are deliberate and logical. The art and books kids are more spontaneous and intuitive, less predictable. I think our teachers, parents, and friends push us to choose. It’s just easier to get through life if you behave in one way or the other, not both. BOOKS: Did people pressure you to pick? LIGHTMAN: Yeah, everybody did. It didn’t work.